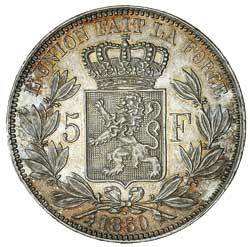 BELGIUM, Leopold I, five francs, 1850 dot (KM.17). Toned, nearly uncirculated and scarce thus. 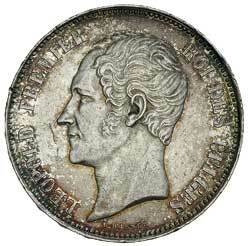 BELGIUM, Leopold I, twenty centimes, 1853 (KM.19). Toned, good extremely fine.